As a poet, I take my wine very seriously. As a wino-it must be bottled poetry. Often known for their minor role as a blending grape; Petite Verdot, Malbec, Cabernet Franc, Merlot, Barbera, Grenache, and many other ugly step children which often make other Rock Stars like Cabernet Sauvignon stellar, often find themselves overlooked as a standalone. Often it's these stand alones [in-particular the noble, becoming widely popular, blending grape known as Malbec.] are missing from far too many tasting menus at many Disneyland Wine Country Resorty-Typey Fancy Pants You-Know-Where-Off-CA-Route-29 destinations. This is sad and wrong. Any wine-maker worth his weight in grape-ton, will tell you that. Especially rouge wine-makers—the crazies. And some of the guys burying amphorae in France [also considered crazy by rigid, regionophile French standards]. I say this not to give blended wines a bad rap, because I’m a blending grape girl. The 1-10% of these blending grapes you find in your Cab, Zin, and as frequent party favors of Bordeaux and her redneck cousin; Red Table Wine are a path to my happy place. On the other hand, give me a 100% blending grape wine, and I’m a happy girl—provided that it has appropriate terroir characteristics to make it true to the varietal. Bad Actor: Some others take a pass on these wonderful blending grapes, regarding them only as B-movie actors in an A-list production of what the varietal implies; there are so many I can’t possibly get into. For the purposes of this article, I direct your attention to what has vastly become popular over the last decade in Northern California—the humble Malbec. It is one of my favorite varietals out of Argentina, and by origin, [known as Cahors] France—and also the most misunderstood as a final product. No Snobs: I’m not a wine snob. I started drinking wine, much like many other embarrassed Americans that had mothers drinking wine out of a box (and no, not the newer stuff), thinking jug-wine was normal and right for the average table. But as I grew up and out of my twenties, traveled the world, and spent a heck of a lot of time year after year in Argentina as a dancer, it built a certain expectation of my sense of Malbec as both a French blending grape and as an Argentine standalone wine. Imagine my surprise, when about 10 years ago, 100% Malbec became a competitive sort of fad among wineries north of the Golden Gate Bridge. Santa Cruz stayed respectably (and perhaps smugly) neutral—they were waiting for Rome to fall—and while Lodi vs. Paso Robles were on the map making wine, they were not as notable by wine industry standards (and the Great Grape Escape adventurers looking for the holy grail of new flavor profiles) yet. The Malbecs coming out of Napa and Sonoma at that time were not what I considered true to the character and flavor of the Mendoza wines, who’ve really made the Malbec grape their own. Those that had been perfected and well-balanced by hundred-year-old family producers. I can tell you as a dancer in Buenos Aires, I drank a hell of a lot of wine at the time, which has built my tasting memory today. Enabling me to compare and contrast the wine coming out of Mendoza versus the same grape being grown and vinified in the US. Before the demise of De La Rua’s regime, when the peso was still tied to the American dollar, you could easily buy a stunning bottle of Malbec for $2-6 USD. Less than that, if you count what you could find on any Argentine Table for a typical asado. The wine was good. Perfect, even. 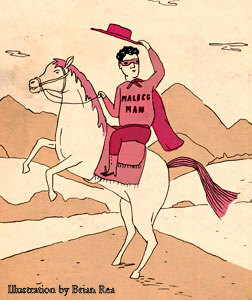 The Black Hats: But there is a villain in this story—and it’s not so much the well-meaning and somewhat adventurist (more like capitalist) fad-jumpers in the Valleys of the Bay Area (I’m leaving Healdsburg out on purpose). It’s the financial Megatrons [with their trans-formative intentions] that went into Mendoza to circumvent the import/export laws that prevent American importers to bring most fine Argentine wines into the states. The ones who, in the name of “entrepreneurial exploits,” bought up some of those fine old Estancias and Vineyards that knew how and what to make of their grapes, let go of all the time honored traditions, and started making something awful under a new fancy boutique label. Once routed through through the appropriate countries and/or bottling import/export channels, it could then be sold in the US as “Malbec” from Mendoza. Why are they villains? Because they murdered the soul of the varietal. That’s right. Murdered it. It tastes absolutely nothing like what a true Argentine Malbec should taste like. I could give you flavor profiles, but really, it’s something you have to try for yourself to know the real difference. Similarly, I think that somewhere along the line Napa and Sonoma really had good intentions (like a lot of Science Fiction writers who do stories about pod people and clone wars) when they decided to make their Malbec grown for blending into stand alone, 100% varietal wines. But there is that problem of terroir—and most of the land produced true to its parcel nature—too smoky, too jammy, too fruity, too thin, too fat, too big, too small, too oddly woody, too off-kilter robust, too ugly step-child, just too much oddness. As wines themselves, some were very good, but they did not taste like a Malbec should by Argentine standards. I don’t want to turn you off of these wines entirely; they are interesting to taste for their anomaly characteristics, and often worth the price you will pay for them if they are well-balanced by a careful crafter and sinfully adept hand. But they are not what I spent many a long conversation over in Argentina year after year. They are not what you, as a wine enthusiast, should know as a Malbec on principal and on substance. Iconic Malbec: A perfect Argentine Malbec should be somewhere in happy harmonic flavor between a Cabernet and a Merlot, with hints of Pinot Noir that you can pull out as notes in a chord progression. There are several styles that vary in this description somewhat. I could list a dozen or so houses in Mendoza for you to compare and contrast, but that won’t help you if you can’t get them here. Instead, I will give you one from Mendoza that is a classic example of the flavor profile, and one from Sonoma that is a close French-style cousin, and expertly true to the Argentine version, that are relatively easy to find in the US. They are also relatively affordable for the average connoisseur, which means you have no excuse not to try them and form your own opinions on the imposters capitalizing on the popularity of the fine old tradition and the Malbec name. 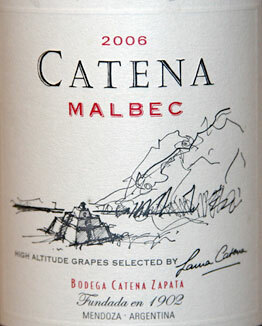 Catena, from Bodega Catena Zapata in Mendoza, is a great example to start with. You can get their Malbecs stateside fairly easily, ranging in price from $15-25 and up. Like other blending varietals, they age well, and if you can find some older vintages (think 2004 and prior—especially 2000 and 2001), you will enjoy them more than the tighter, younger 2008 and 2009s. Laura Catena also has a home in the Bay Area, and brings her rich Argentine wine-making culture and tradition to the industry here. The best thing about Catena is they blend the old world with the new without compromising their roots, and stay true to each blend and style of Malbec, beginning with intricate knowledge of their terroir and micro-climates of the Mendoza growing region. 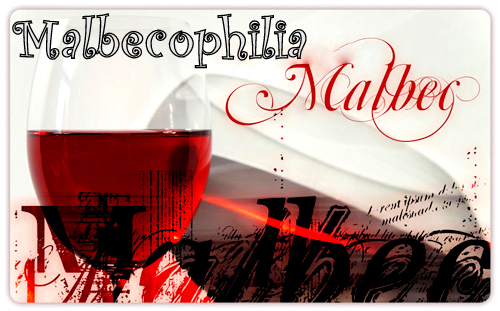 Malbecophiles will note that in 2002, they began offering five different styles…all worth tasting for a better understanding of the varietal, if you can find them here. Chateau St. Jean, from Sonoma Valley in California makes a stunningly smooth and delicious French style Malbec that I both respect and admire as a Malbecophile. It’s as close as I have found so far to a 100% Malbec comparable to Argentine standards. Perhaps because it’s French style—but you have to remember that the grapes come from the soil here. They produce an Estate and a Reserve Malbec, both delicious with subtle differences that vary from year to year (as it should), and my favorite to date is the 2005 Sonoma Reserve. You might find the newer vintages to be more affordable and easier to find, however, and they will age well. They have been experimenting with Malbec since the late 80’s as a blending grape but expanded their plantings again in the early 2000’s, producing with the fad growers, but somehow getting it infinitely more correct and worthy. Considering the Argentines brought the varietal over from France to plant, it makes sense. But really, the best part about an Argentine Malbec has always been the price you could get it for in a Supermarcado in Buenos Aires—something Americans have yet to understand fully when it comes to buying wines that are ready to drink now. That price point has changed dramatically since the demise of so many those family houses and, and consumers can expect to pay $10-35 for inferior-made Malbecs that are marketed for the selling-point of the varietal name by new foreign-owned Boutique labels out of Mendoza. So if you find a Malbec from Mendoza at a discount outlet for $5 or less, you might not do poorly to try it, just to see if it’s decent. Especially if the vintage is 2000-2001. It could be a close-out sell-off from an old traditional house, and delicious. Some are leaking through the cracks in the space/time wine-continuum, like Colonia Las Liebres has done with their 2007 Bonarda—an unoaked and unfiltered but delicious cousin of the Malbec. It is mysteriously imported by the Chicago importer, Vino Divino Ltd. I found a case of it at a discount wine dispensary for $1.99 a bottle. No put down that Ipad, they don’t have any left. Do you really think I’d have left them with much? You can find it elsewhere for around $5-10. They do make a Malbec, but I have yet to try it. I have a feeling I’ll like it. I have great hope that the wine industry will evolve and find new ways to understand Malbec as it grows stateside, and it’s entirely possible I’m missing the holy grail of Malbecs hiding somewhere in Healdsburg or Windsor’s vast vines-a-plenty… or especially emerging Santa Cruz Mountain growers, which makes my job more fun, as a wino. Exploratory… (cough).. …research. For Poetry! For Truth! For…well, anything really. I just love wine. About the author: ***Rain Graves is the recipient of the Bram Stoker Award for Poetry (2002), and a finalist for 2009. Her book, Barfodder: Poetry Written in Dark Bars and Questionable Cafes was hailed by Publisher’s Weekly as “Bukowski meets Lovecraft…” She has been publishing fiction and poetry in horror/fantasy/sci-fi markets professionally since 1997, and as an avid wine lover, has done quite a bit of wine writing and winery-commissioned poetry on the side. You can read her tasting poetry on Twitter, and see her performances at events listed on her website [on my blog roll] or FaceBook.